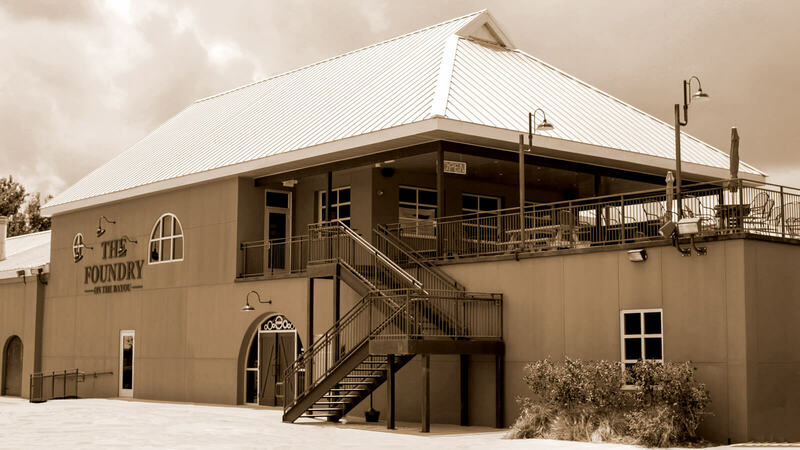 Built along Bayou Lafourche in historic downtown Thibodaux, The Foundry is the perfect venue for your special events. From rehearsal dinners and weddings to small gatherings and business meetings, our premier venue and staff can accommodate all of your needs. Our beautiful historic building gives you the option of three event spaces. The main event hall can hold up to 200 guests for a cocktail event and 120 seated. Opening up the connected downstairs event room with additional bar allows you to increase the guest number to 350. Our rooftop bar and patio can accommodate 125 guests in a social setting. The Foundry has private parking available for guests.